As a Slice-of-Life JRPG, Atelier Lydie and Suelle brings something different to the JRPG genre. It focuses on collection and synthesis as its main mechanics, partnered with a light-hearted story that managed to turn what could be a sad story about two girls without a mother into one with plenty of humour and lively characters that make it standout from other JRPGs. Although its pacing felt a little slow at times, Atelier Lydie and Suelle’s deep synthesis systems and fun story made it an experience that was pleasant to play and with lots of side events still waiting for me, there’s plenty to do in this fun, collection-based JRPG. 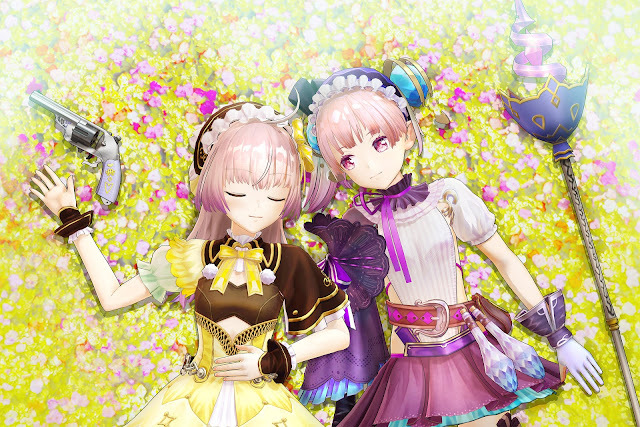 Atelier Lydie and Suelle is based around the two girls from its title: the smart, slightly older twin Lydie and the fun, energetic Suelle who have big goals of making their Atelier the greatest one in the country. At first this is a lofty goal with their lack of alchemy skills resulting in lackluster creations and their Dad’s unreliable nature as their only parent making things harder for them as they struggle to even put dinner on the table. This is until one day while synthesizing they hear a strange noise coming from the basement and find what is known as a Mysterious Painting which they somehow are able to enter, explore and most importantly collect materials from, beginning their curiosity about the painting worlds. This painting and their city’s new alchemy ranking system begins the story journey into improving their skills and exploring mysterious painting worlds while meeting its cast of quirky characters along the way. As a collection-based JRPG, the way Atelier Lydie and Suelle tells its story throughout its many chapters is a little different than others in the way it shows its events. It has its main story moments and scenes, and between them individual and sometimes optional slice-of-life story moments that are mixed in most times you go to a different area on the map or do tasks. This often creates a feeling of a slow growing relationship that feels especially good when the girls meet with characters such as their alchemy tutor Ilmeria as it really emphasized the feeling that this was a growing relationship. In some parts however, there were characters that I didn’t create much of a relationship with because I didn’t have a reason to visit the areas they reside in in my first playthrough. In the case of characters like Firis or Sophie this didn’t bother me much as they each have their own game, but in the case of newer characters such as the mysterious Alt I know I’ll have to make a special effort to get to know them in my next playthrough. In saying that, I was never really bothered that much as Lydie and Suelle put a bunch of charm into every scene they’re in with their fun personalities that both complement and contrast each other well and watching their intent to fulfill their innocent goal grow through each chapter of its story was enough to make me want to continue working towards their dream. 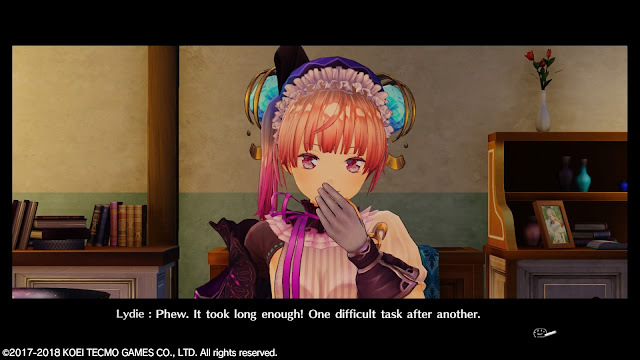 A lot time spent in Atelier Lydie and Suelle is spent working on tasks to help them be eligible and pass their next Alchemy Exam as they try to raise their rank as alchemists. 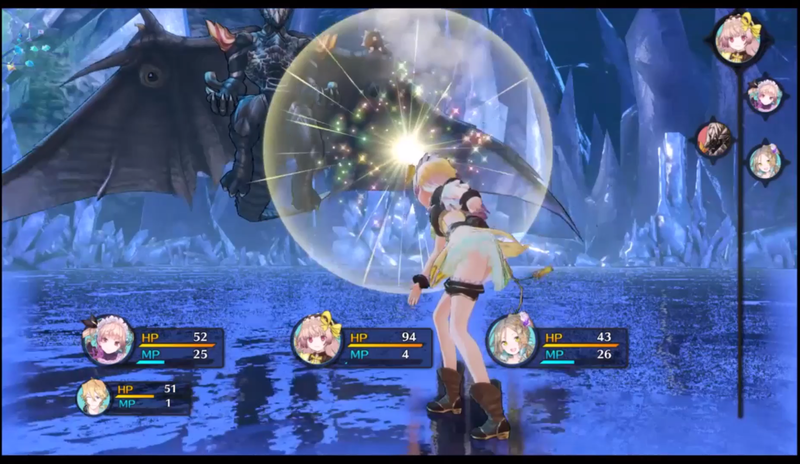 Rather than the typical fight a boss and move onto the next chapter routine familiar from other JRPGs, Atelier Lydie and Suelle’s tasks more often than not revolve around alchemy and the complex synthesis mechanic where items are created. The general name of the game is collect items in its pretty landscapes, synthesize them to the specified parameters, present your item for the exam and if you pass you get to see a new Mysterious Painting. One might think this routine that stays the same for most of Lydie and Suelle’s campaign might become repetitive, but the varying tasks and the steps and intricate systems in between are what make it interesting and add variation. One chapter I found myself running around a monster’s territory to find its eggs and another trying to make something that will revitalize plants by raising my alchemy level, so the variation in tasks and getting your alchemy skills up to scratch to be able to take the test makes things just varied enough to keep things interesting. Atelier Lydie and Suelle’s synthesizing board also makes its many tasks a lot of fun as it provides a great amount of customization for those who want to make the absolute best quality item or just the bare minimum of what’s needed to pass a test or do a task. You can choose to use high or low quality items depending on requirements and there a plenty of item traits such as Increasing HP or making an item be a Low Price one that can affect how items work in battle and how much they sell for in shops if you decide to sell them and this makes for a pretty thoughtful system. 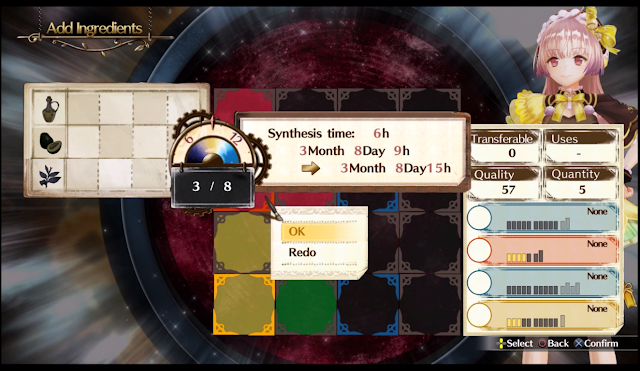 Since Atelier is a game based around the craft of alchemy, this system really gives that feeling of honing items to make them as good as possible despite essentially just being an item selection and a colour puzzle system at its core and partnered with running around the field to collect the right materials, item creation feels like a deep, well-thought-out experience. The cherry on top of item creation and story progression in Atelier Lydie and Suelle are the many different Mysterious Paintings that are unlocked after each exam that all boast beautiful visuals and a sense of wonder from how they differ from the rest of Atelier’s landscapes, having their own items to collect and monsters to fight. It’s in these worlds that Atelier Lydie and Suelle creates its own little story episodes inside each one, with each painting’s magical stories and visuals creating worlds very far from the more normal town Lydie and Suelle are from, spanning from haunted Halloween graveyards to ice cold palaces. In their linearity these painting worlds aren’t the biggest, however the amount of paintings and the variation in each one makes up for it fairly well, making it where Lydie and Suelle’s episodic storytelling, unique items found in the areas and monster drops they reside in really shine. Speaking of monsters, while alchemy is the main mechanic, there is a pretty good battle system in Atelier Lydie and Suelle that uses its premise well to make a JRPG turn-based battle system with an alchemy twist. Since Lydie and Suelle are alchemists, alongside the usual JRPG attacks involving magic and stat changes, certain actions can trigger them to use Battle Mix, a technique that prompts the girls to whip up a quick item based on what you have on you and what would be best for a situation. Additionally, each painting world also has an Area Effect that can give positive and negative effects based on how you fight and taking advantage of the Area Effect and Battle Mix together can give an edge in battle if used correctly. I expected Atelier Lydie and Suelle’s battles to not go far beyond random ones to get material drops, but there are some genuinely tough bosses in it that require a good strategic mastery of the system and using alchemy to improve at combat by making items and mixing them on the spot made the battle element make a lot of sense in this world. While there are some moments that felt like they had big difficulty jumps towards the end of the game, using my alchemy to make what I needed to get through was very fitting to Atelier’s theme and with other battle mechanics like special moves and partnering up characters to complete the system, battles are a fitting strategic experience to master through alchemy as well. 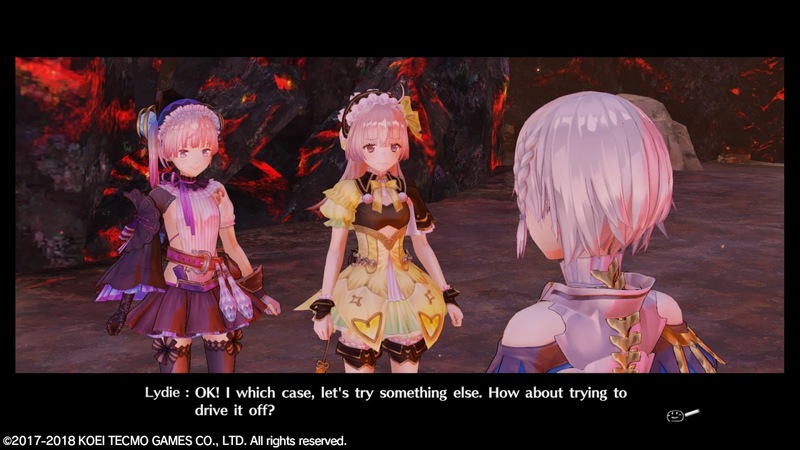 Atelier Lydie and Suelle is a relaxing and fun game of collection and alchemy most of the time, although it wasn’t always a smooth experience, with some of its gameplay flow affecting the story’s pacing as times and a few parts of the localisation and other aspects such as frame rate in certain areas needing polish here and there. Between Alchemy Exams, the girls usually spend time raising their reputation by offering a selection of tasks to be completed before you can take on the alchemy exam. Most chapters this usually made a lot of sense as they would often involve raising the girls battle and alchemy levels to what would be adequate for continuing chapters, along with finding materials that may be important for future recipes. In a couple of chapters though, there would be a lot of vague tasks such as finding a brand new material that you’re only given the name of and no location information or anything to help find it. Sometimes the item could be found by guessing - If it’s a leaf, it will probably be in a bush somewhere - but other times I found myself scrambling and even caving to checking guides here and there because I just had no idea with the lack of information. I don’t mind this kind of searching in side quests, but when there’s a list of them and I’m scrambling to find the easiest one to continue the interesting part of the story I was in, it broke up the story for hours at a time when I was really keen on what was going on, considering I think the main story without these moments was very well-paced. Also, I found its localisation to be pretty good in overall quality from the tone and personality portrayed in its English subtitles, although more and more typos and grammatical errors seemed to creep into the text in later chapters. With an alchemy encyclopedia and more events than I had time to play in my main story run, I can get an idea of the sheer amount of text there was to translate for this JRPG and the parts that are good really bring across the charm of its quirky characters. 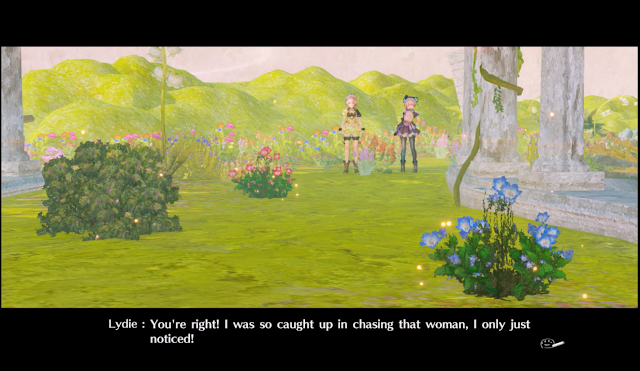 However I also know other Atelier games were dubbed and with Lydie and Suelle only having subs, these errors tend to stick out a little more so I do wish a little time was maybe spent editing the script and making it more smooth, at least in main story moments. Problems aside, Atelier Lydie and Suelle is something that has left me plenty to come back to. There are multiple endings to see, many more recipes to collect and lots of conversations and friends to make in its town that I still want to get to know in its humourous side events. My first playthrough of it took a little over 60 hours, but I’m sure there’s at least 100 hours of playtime in it if you were to see all of its events and take time to do more character quests than I did. 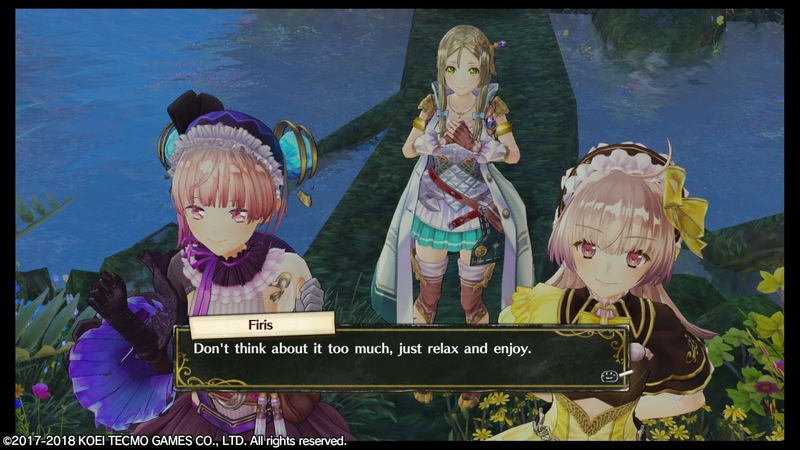 As my introduction to the Atelier series, despite being the last entry in the Mysterious trilogy of the Atelier series, it worked very well as an introduction to characters from the previous two games and I definitely want to at least check out Atelier Firis as I enjoyed her personality in the main story. I can’t speak for how it feels as a final entry in the Mysterious trilogy, but I can say that there are plenty of moments with characters old and new that I can see providing fan service and updates on the older versions of these characters for those who have played previous entries in this slice-of-life alchemy journey. Atelier Lydie and Suelle’s light-hearted journey into alchemy and mysterious worlds managed to be both a fun introduction to the Atelier series and a relaxing JRPG look into what JRPGs could be like with Slice-of-life events and less boss battles. Getting to know characters old and new through its many events has left me intrigued about previous entries and while I may not have gotten all the character development I wanted for certain characters in its main story, I can say with confidence there is plenty of replayability to come back to if I decide to hone my alchemy skills again. As my first venture in Atelier’s world of alchemy, I’m happy to say that Atelier Lydie and Suelle’s beautiful worlds and deep systems are a new kind of JRPG gameplay I want to try more of and I would recommend it to those looking for a more relaxed JRPG to de-stress with. One ending down, plenty to go. You can pick up Atelier Lydie & Suelle: the Alchemists and the Mysterious Paintings on Amazon! Will you play Atelier Lydie and Suelle? If you already have, what did you think of it?